Efficiently managing accounts is at the crux of building a better business and growing. There are accounting tasks that need to be managed diligently so that you can focus on strategising and growing your business. DNS Accountants is an established accounting, tax planning and consulting organisation based in Harrow, Watford, Reading, and Euston. You need to be in control of accounting tasks to run a healthy business. DNS Accountants take care of all the deadlines thus, taking unnecessary stress off your shoulders. With a clientele over 1200, built since 2005 we specialise in catering to varied types of businesses and package our service accordingly. The purpose of this service is to analyse past performance and plan the future course of business. Key Performing Areas and underperforming areas are indicated. 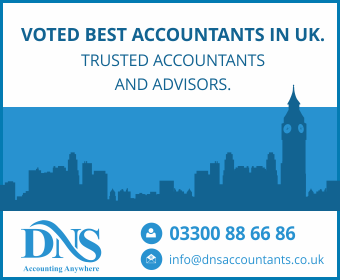 DNS Accountants is a step ahead of other Chelmsford accountants as we hold expertise in consulting services, which helps to keep decision makers in full control. We have an online accounting portal, and you will be a part of it. We provide you free training once you are logged on to the online portal. You can then detect less profit making areas and decide on how to manage these businesses. With this service, we provide sound advice and guidance on how to grow your business. DNS Accountants will be different from other accountancy firms in Chelmsford. We offer the payroll service free of charge as a part of company formation package. It will be hassle-free to communicate with HMRC about taxes if you have a good payroll management in place.So DNS ensures that your accounting details are in place, up to date and reconciled. We also look after the documentations necessary with HMRC to avoid penalties.When you hire a team or employees it’s your responsibility to deduct tax and NI, failing which will lead to penalty. We are set to be Chelmsford accountants for all type of businesses who will provide you necessary support regarding payrolls to maintain your relationship with employees and reputation in the market. Are you scouting for Chelmsford accountants who make filing tax returns easier for you? If you are bothered about the complex nature of the process then its time you turn to DNS Accountants. We will be that accountancy firm in Chelmsford, which will provide Self-Assessment Tax Return service to ease your mind with the assurance of accuracy and no botheration from HMRC. DNS will clear uncertainties about how dividends should be shown when you file Tax Returns and ways to reduce Payments on Account. You will get clarity about Capital Gains Tax and the computations. Our consultants are always prompt in clarifying any kind of uncertainties to save your time and efforts. We work in an uncomplicated manner, which will organise your tax assessment and filing, avoiding mistakes and delay. We collect the relevant information from you, which is used to file tax return. A draft is made and shared with you and only after your approval we file the self assessment tax return with HMRC to inform you how much you need to pay. Watch an interesting video to know about this service. When you accurately account for the resources that you invest and calculate returns from it, the direction of your business becomes clear. You will be aware of the financial position of the business and strategically plan for future. It differentiates between success and disaster by giving timely warning about financial position of the company. It creates base for data analysis and gives a guideline to forecast about income. Experienced Chelmsford accountants like DNS Accountants have experience in working with broad range of companies. So we will guide you through the best accounting practices suitable for your type of business as we have worked with similar companies. This insight is rare and hard to come from small business accountants in Chelmsford. Accountants have the best knowledge about how much taxes you need to pay and how much is deductible, so that you won’t under or over pay. They are well aware of changes in laws and regulations as they are in touch with the world of accounting management. They will be one step ahead of business owners when it comes to the field of accounting. DNS Accountants have experts and consultants to guide you through various accounting procedures. We provide you dedicated accounts manager to give personalised services and we have online accounting software, which is accessible to all clients. Above all its easy to use and convenient too. We save your tax and assure that you will never have to pay a penalty. DNS provide services like bank account opening, company formation, tax investigation cover, VAT Registration and Return, year-end accounting services, business investment relief, auto enrolment, etc. We are spreading our wings and reaching you. If you have business in Witham, Wickford, Colchester, Northampton, Luton, Watford, Maidenhead and Cambridge its time you approach us for expert accounting service. Next time you think about accounting services approach DNS Accountants. We are here to serve our best to you.